It has been interesting to watch the progression of Philip Glass’ career. From his driving amplified ensemble music that so entranced this writer to as near groupie status as he will ever be to the more mainstream orchestral work of his work since at least the 90s the fascination remains at some level. The familiar arpeggios are still to be found along with basically diatonic harmony with occasional polytonal sections. What is interesting about Glass’ third piano concerto is a sort of chamber romanticism. A Far Cry is a small chamber orchestra ideally suited to works like the Bach first piano concerto. Though technically originally written for harpsichord pianists have successfully broken the taboo on strict adherence to using the harpsichord and have developed techniques to optimize the sound of the piano (which has very different qualities from a harpsichord). Simone Dinnerstein is an artist who I first met (albeit virtually) on Facebook. Her reading of the Goldberg Variations from a few years ago seemed to signal her entrance into the mainstream of performers. The choice of works on this disc are a sort of characterization of her interests. She is an accomplished Bach performer with, obviously, an interest in new music. So pairing her as soloist with A Far Cry whose interests appear to be in a similar range was perfect. The performance of the Bach G minor piano concerto (No.7) is as delightful as it gets. Dinnerstein and the ensemble seem work together very well. These intense little chamber orchestras seem to be proliferating and one could speculate on the economic and political reasons for that but what is more interesting is the commitment and intensity that these small ensembles can bring to music. The Glass concerto has the feel of a sort of miniature romanticism. This writer heard it as echoes of Brahms but on a far more intimate scale. It is difficult to say whether this new work (or for that matter, the other two piano concertos) will become a regular part of the repertory but it is clear that Glass continues to have his champions both in musicians and listeners. There is nothing groundbreaking here and that is not what is apparently intended. What we get in this recording is a couple of dedicated and thoroughly enjoyable performances by clearly dedicated musicians. This is not an original instruments or musicological discoveries type of album. It is simply good music making. 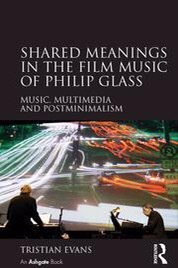 If you are a fan of Philip Glass and/or Simone Dinnerstein you will want this disc. But don’t forget to pay attention the this little chamber group. They are superb and energetic musicians and this reviewer expects to be hearing more from them in the near future. Maybe we will get a new set of Bach and/or Mozart concertos. Here’s hoping.